The ancestors of the Vizsla are assumed to have been hunters and companions of the Magyar hordes which swarmed over Central Europe more than a thousand years ago and settled into what is now Hungary. The breed is depicted in various etchings that date back to the 10th century and manuscripts tracing to the 14th century. Apparently, the breed was a favorite of early barons and warlords who, either deliberately or by accident, preserved its purity through the years. The breed’s innate hunting instinct was fostered by the terrain of Hungary, which was almost entirely agricultural and pastoral. The breed evolved into one suited to the climatic conditions and available game, resulting in a swift and cautious dog of superior nose and generally high-class hunting ability, combining the best assets of pointer and retriever. 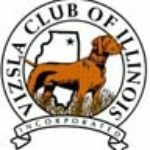 Although the Great Wars interrupted normal breed progress, a small amount of Vizslas existed that continued the breed’s growth. Importation into the US began in the 1950s, and the breed was admitted to the AKC registry in 1960.